​Lee is a specialist in bodywork and cosmetic repairs with over 30 years of experience in this field. 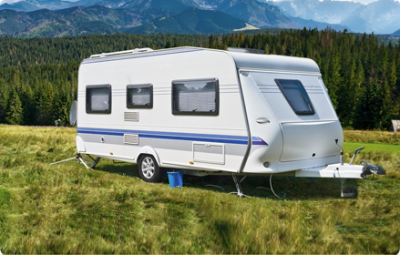 Caravans and Motorhomes easily suffer from exterior damage and we are able to bring our mobile service and experience to you to save you time and inconvenience. We can generally do most repairs on site and if not, we are able to take away panels and complete the repair in our fully equipped workshop. We carry out insurance approved repairs and we are able to offer a cost effective solution to repair and restore your van to its former glory. We are often able to save a caravan from being written off as some panels are no longer available for older vans - we can repair and restore existing panels within the value of the caravan enabling our customers to continue to enjoy their holidays. We carry out repairs to dents, splits, cracks, scratches, holes - we are able to carry out fibre glass repairs and restore panels like new. We have years of experience in colour matching and are able to match the colour and spray panels to match existing bodywork. See below for some examples of our work and also look at our testimonial page.